Most importantly ALL ATV users should learn to ride safely by taking an EASI Rider Training Course as recommended by the leading six ATV manufacturers, Honda, Kawasaki, Polaris, Suzuki, BRP and Yamaha. If you buy a new or used ATV from one of these manufacturers via an authorised UK dealer you may be eligible for either FREE or highly subsidised EASI Rider training, subject to qualifying terms, conditions and availability. 1. Take an EASI Rider ATV safety training course. 2. Always wear a helmet and other protective gear. 3. Read your machine’s Owners Manual and familiarise yourself with the importance of all warning labels displayed on your ATV. 5. Never ride on public roads unless your machine is a Quadricycle that has been specifically manufactured for this purpose and complies with the relevant type approval code for that particular model of Quadricycle and you hold the correct type of Driving Licence and Insurance. 6. Never ride under the influence of alcohol or other drugs. 7. Never carry a passenger unless your machine has been specifically designed and manufactured to do so. 8. Ride an ATV that’s right for your age and experience. 9. Supervise riders younger than 16; ATVs are not toys. 10. Ride only on designated trails and at a safe speed. 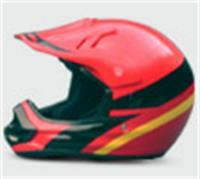 Whilst colour, design and price may influence your decision regarding which helmet to buy, protection should be your first consideration.The full-face helmet provides the most protection since it covers more of your face.Recent design improvements in shell material and interior ventilation have improved comfort.The next choice in protection is the three-quarter (open-face) helmet. It does not offer face and chin protection that full-faced helmets do, so if you chose this style, it should be used with mouth/chin protection. The British Standard for Safety Helmets (January 2006) is BS 6658:1985. Please look for the British Standard 'Kitemark' and the number of the standard. The European Standard is UN ECE Regulation 22.05 (it will have a UN 'E' mark and the first two digits of the approval number will be '05'). • Tinted for riding on bright days, clear for night riding or yellow for over cast days. FIND OUT MORE ABOUT THIS IMPORTANT SUBJECT BY WATCHING AN ATV SAFETY VIDEO AT YouTube.